Elephants are one of nature’s greatest, but most gentle giants. As humans we show an incredible lack of respect to these great mammals, failing to recognise their majesty and grace. Poachers, drought and man-made boundaries are threatening the lives of these amazing creatures. It’s heartbreaking to think how some people can stand in front of these giants, stare past the long beautiful eyelashes into their tiny glassy eyes and think of them nothing more than a trophy that’s there for the taking. We have had the privilege of seeing and communing with elephants both in the wild and at the David Sheldrick Wildlife Trust’s Nairobi orphanage. It’s impossible for your heart not to break as your orphaned elephant grabs your finger with his exploratory trunk and looks into your eyes with a trust he’s only just beginning to understand. You cannot fail to shed a tear as you witness a new orphan being brought into the orphanage, scared, shaking and crying. In happiness? In sadness? I’m not sure. Ideally none of this would exist, no need for wildlife trust, replaced by an understanding and a safety. But in the absence of that, I have great appreciation for the work of DSWT, no more so on Daphne Sheldrick’s 80th birthday today. Daphne has been very ill recently but very pleased to hear she could enjoy today at home, “waking up to that all familiar birdsong and elephant trumpets”. 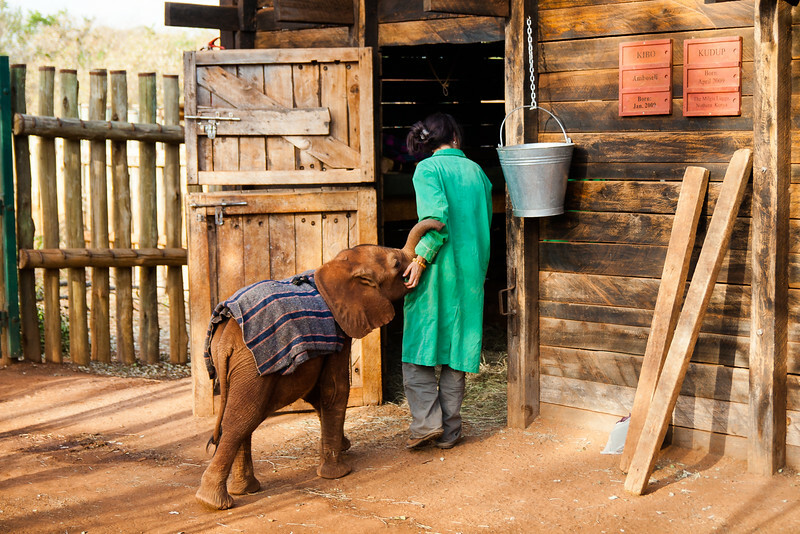 I hope the trust continues to benefit from secure funding and blessed keepers who become so attached to the elephants, but I sincerely hope the reason for their existence changes, less of an orphanage, and more of a children’s hospital, nudging the species’ survival in the right direction. I love photographs that you don’t understand immediately. Ice? Scree? Rock? Where are we? St Johnsfjorden / Prins Karls Forland in Svalbard. So what? Deception Island in Antarctica looks a dull grey but is ice govered in dust. This is a rock, isn’t it? Fully? That’s the nice thing about ambiguity… it makes you want to get off the boat and *know* what it is, with your boots whacking the floor and textures giving way. The wisps of gorgeous orange light I like, but it’s the wisps of dark that fascinate me. Sunset explodes over a Swedish lake, illuminating the sky and mirror-still water surface. Have a great and productive Sunday everyone! Screw you modern conveniences…getting back to nature and loving it! Marie and Alistair Knock are wildlife photographers and filmmakers based in York, United Kingdom. Our goal is to present glimpses of the balance and harmony of the natural world, to reinforce the importance of its preservation. We use Canon digital SLRs, Canon and Sigma lenses, and Panasonic camcorders. Taraji is a Swahili word meaning to hope for, to wish for. Blue comes from the intense, vibrant colour of thousand year-old Antarctic ice.